Sell or Trade in Microsoft Lumia 950 | How much is it worth? Sell or trade in your Microsoft Lumia 950 for cash with TechPayout. Sell your used Lumia 950 online using TechPayout's instant quote system! All you really need to do is fill out the information above to quickly calculate how much your item is worth. If you like the offer, click sell item and continue with the checkout. Let TechPayout recycle your phone and send you the cash! (PayPal or check) TechPayout always pays for shipping when you send your items. If you have another phone, tablet, or even headphones to sell, you can simply go to our brands page to sell or trade in! Quotes are good for one month once you check out. Item prices tend to decrease as the market releases new items. 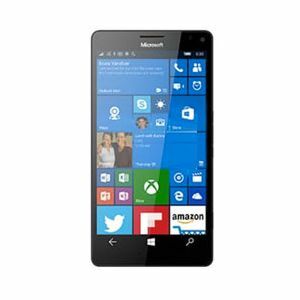 Sell your Microsoft Lumia 950 now and collect that cash!